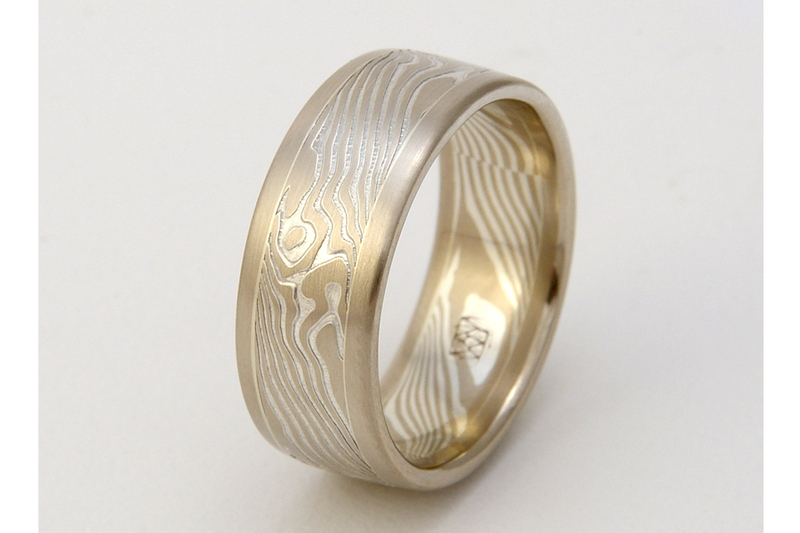 My newly developed ring line, inspired by the five elements from Japanese Buddhism ~ earth, water, wind, fire, sky. Which speaks to you? 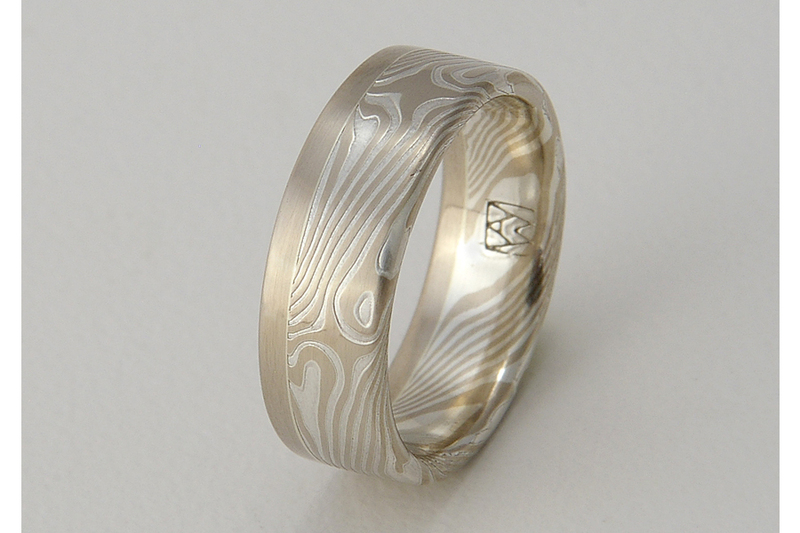 Choose the element that best represents your personality, or be led purely by aesthetics. 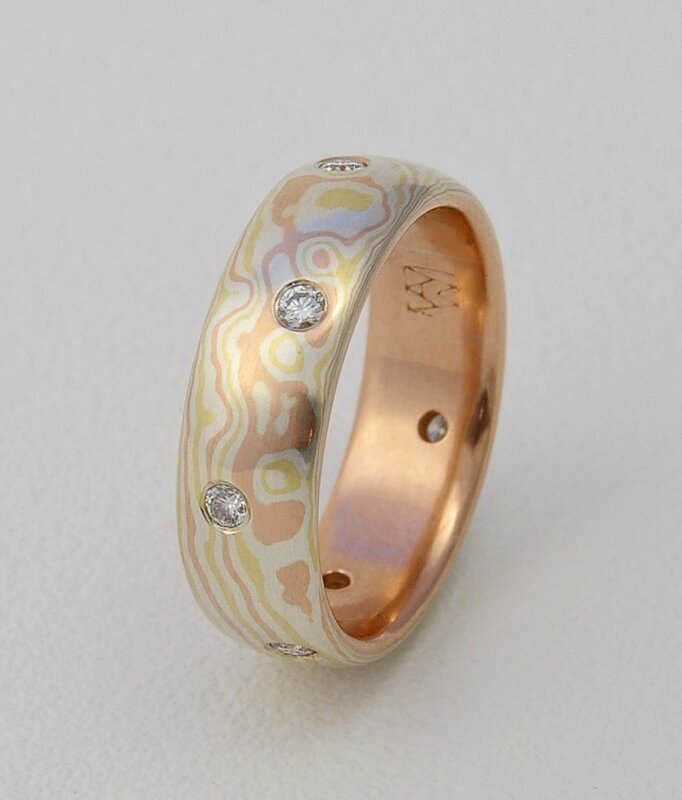 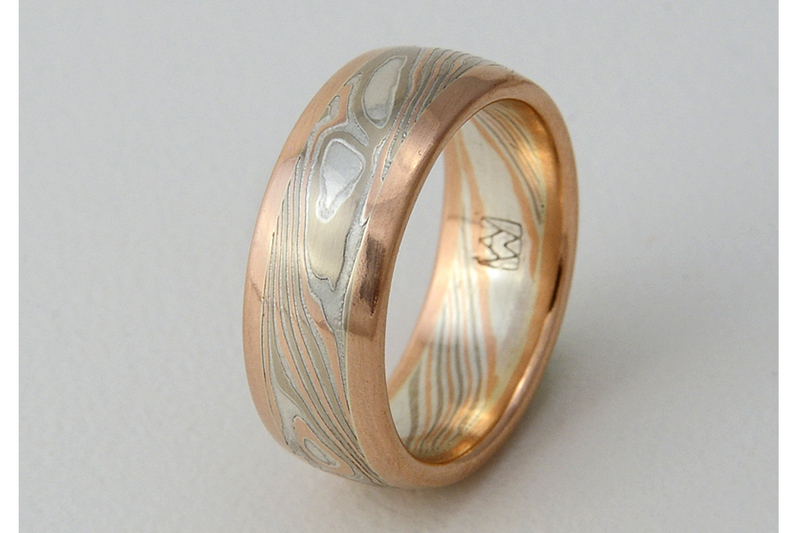 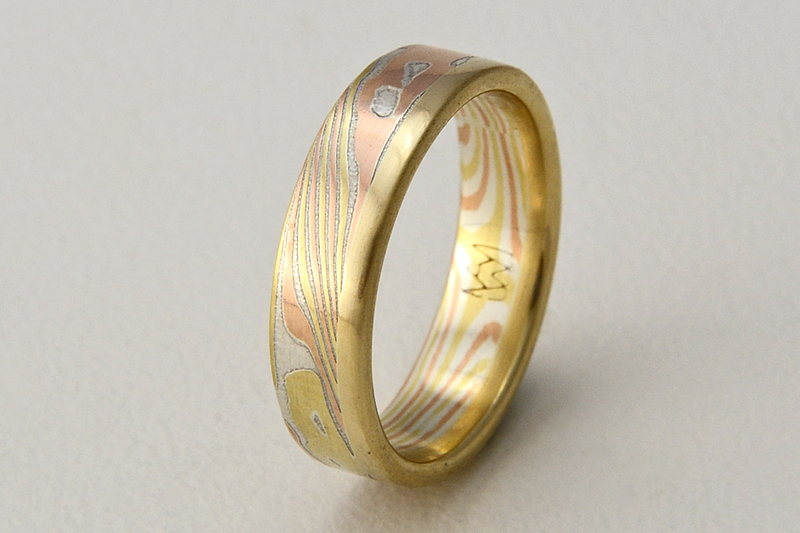 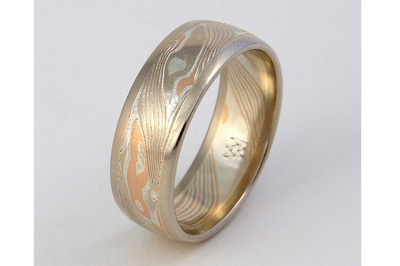 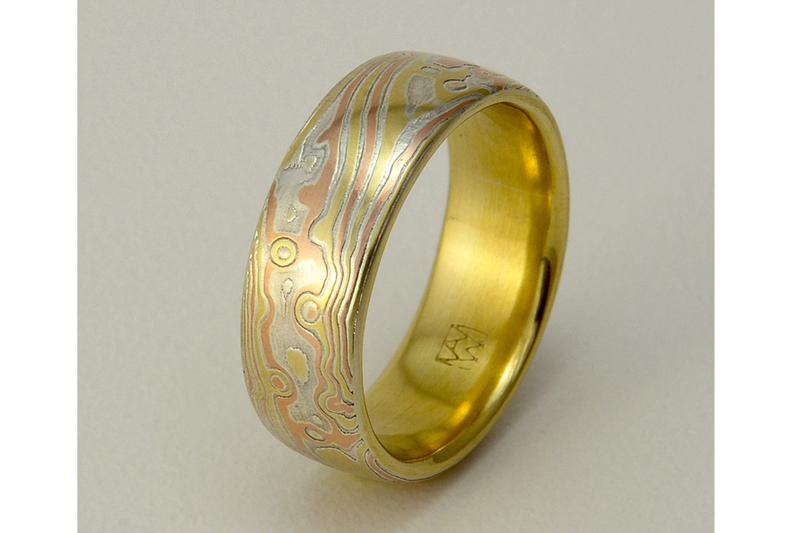 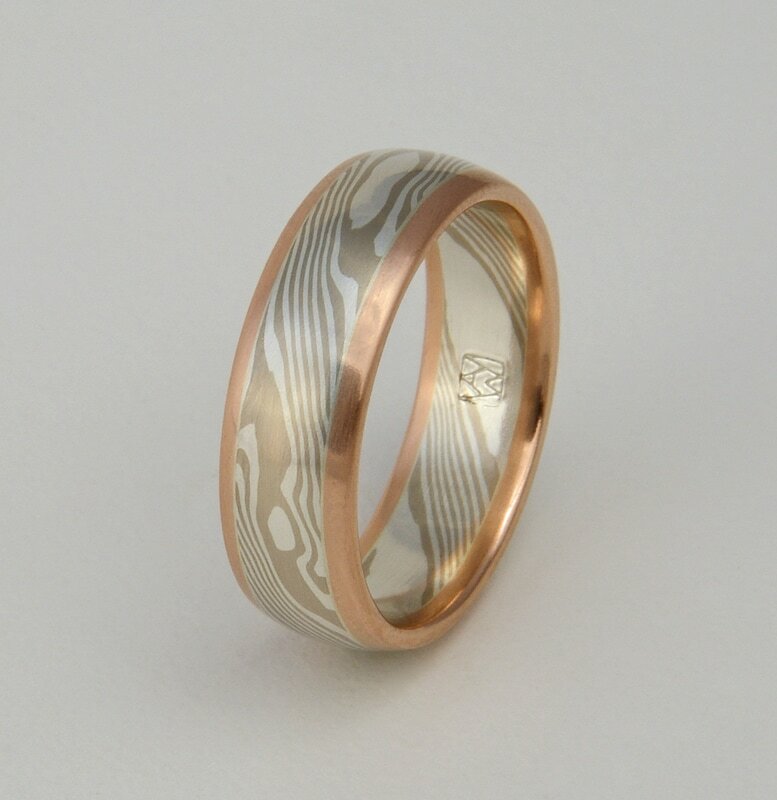 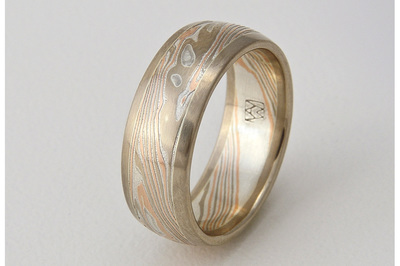 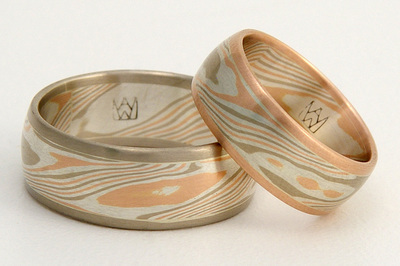 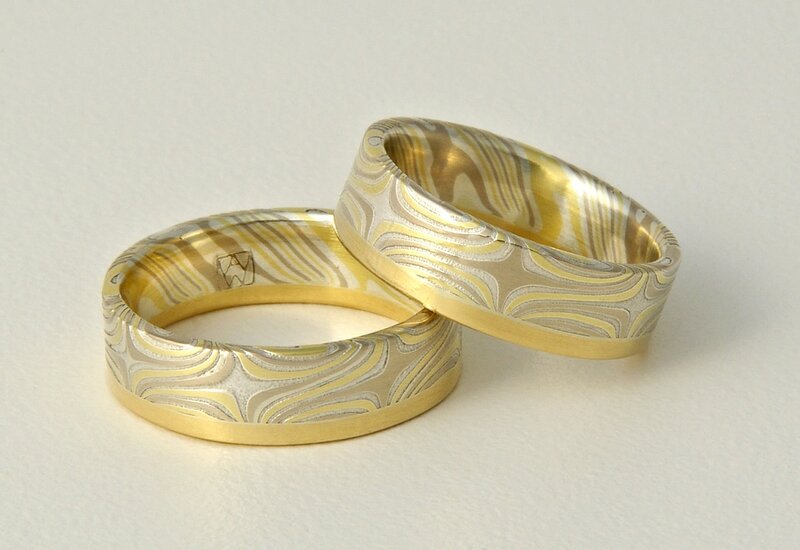 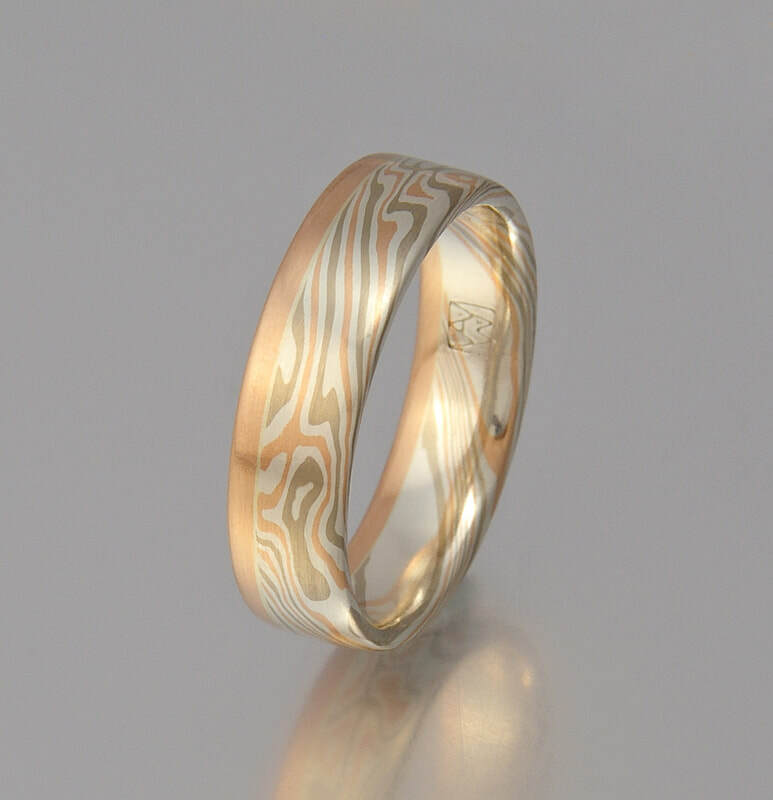 Each ring is completely custom-made: you choose your size, the colors of your mokume gane and the colors of your edging/lining. 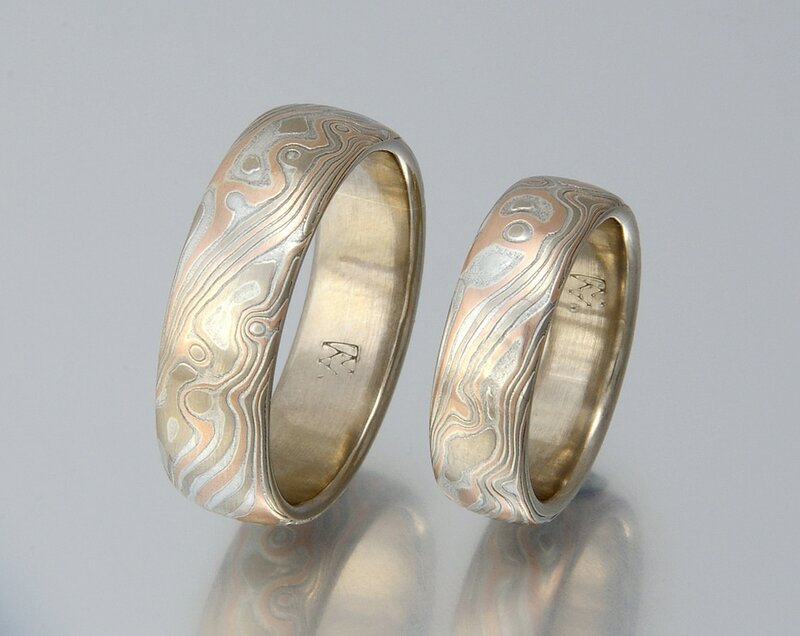 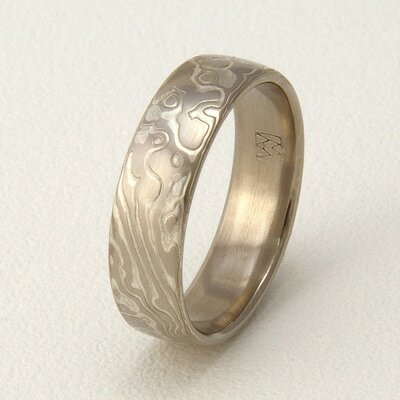 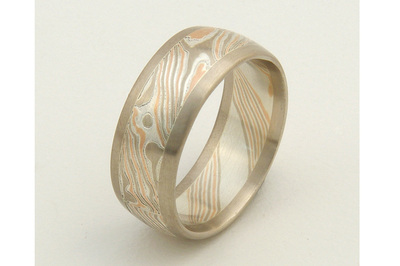 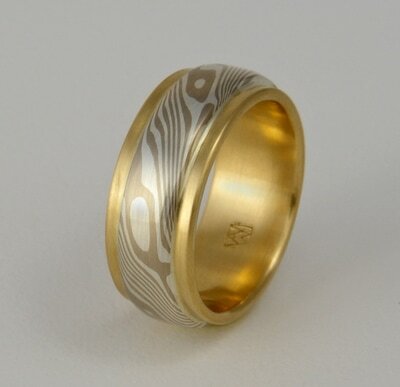 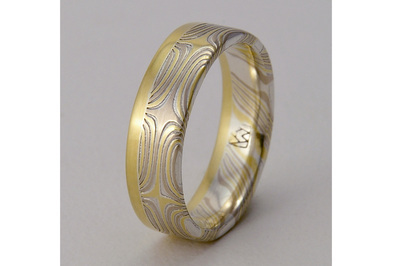 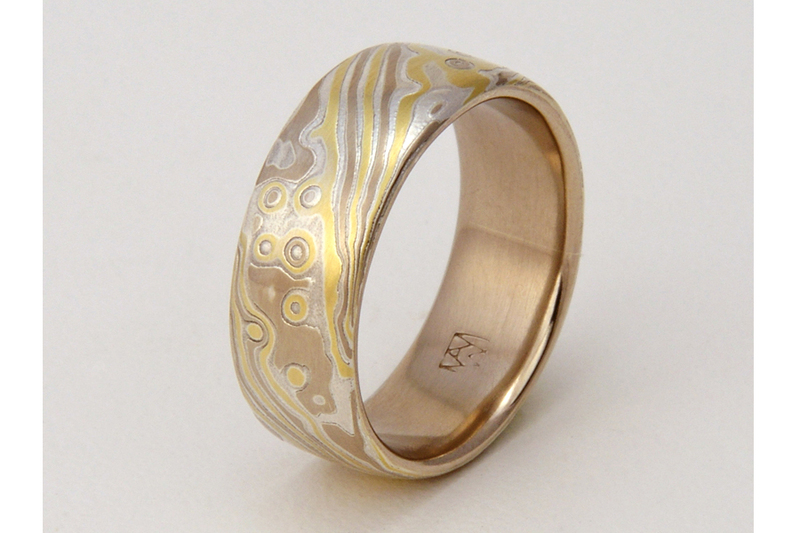 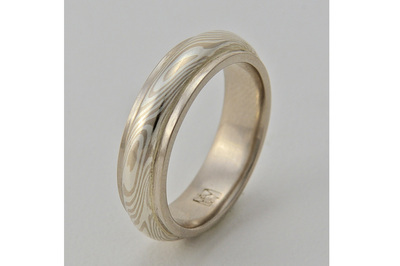 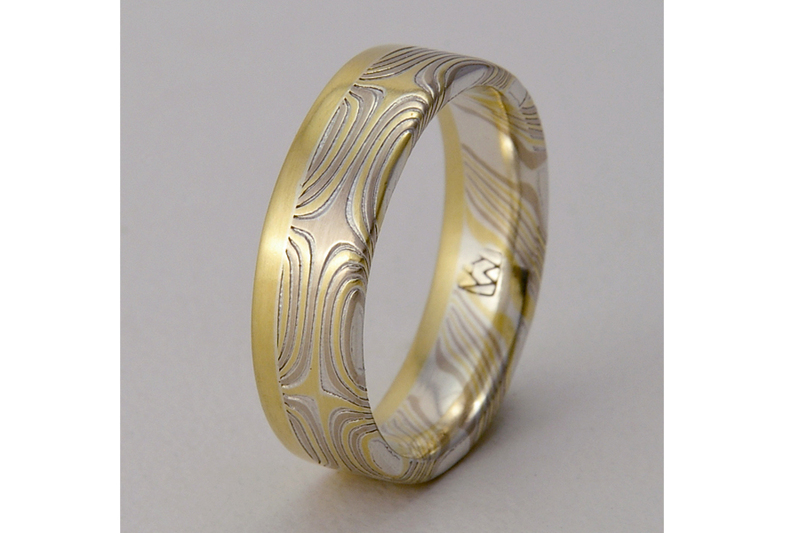 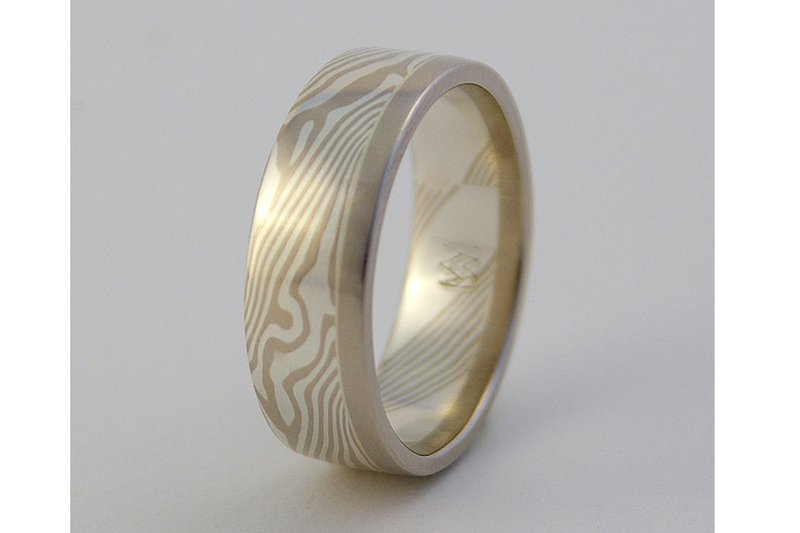 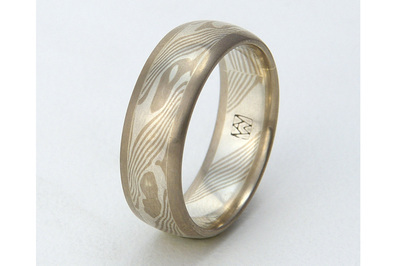 Rings may be smooth, or etched if your color choice includes sterling silver. 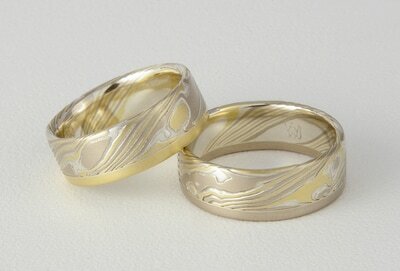 I am happy to consult with you on the design of your ring. Browse the rings below to learn more.